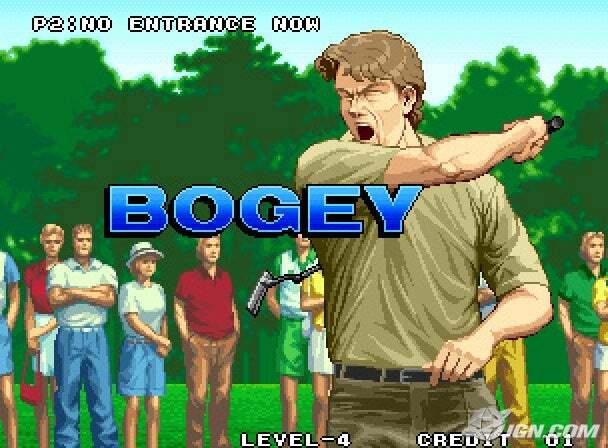 My fascination with golf games has stuck with me right up until this very day. Generally when I buy a console / phone or tablet I like to take a look for the best golf game I can find for that particular platform as my first purchase or download. Golf games are played at a nice leisurely pace compared to the 100mph nature of the FPS's of this world and they provide a nice alternative. I love to play 2 player golf games, they are lots of fun and the thought of some of the great games of video games local multiplayer golf I've played with a mate over the years brings a massive smile to my chops. Video game golf has actually led to me taking to golf course and taking up real life golf. A lot is said about video games creating a nation of couch potatoes who are afraid of sunlight but there is also the argument that a sport can be learned in a "safe" environment such as on your console and then that would lead to an interest in the real life sport. It's actually a similar story for American Football, NHL, Baseball and Basketball for me. I learned the rules playing video games and then took to the park with my mates to act out what we'd played on screen. Something like American Football can be seen as quite a complex sport but playing in your front room with friends could easily spark the interest and create an understanding of a sport that you may not have tried previously just because you didn't really understand the rules, nuances or even the point of it! My mate had this machine in his front room and I was obsessed with it from an early age! We would play the golf game without actually knowing what we were doing. 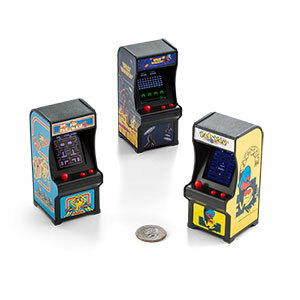 The -1 or +1 didn'really register with us, it was just a case of hitting the ball around the screen and a 5 year old me loved it! Nice snappy title eh! This Amiga great was a bargain basement purchase for me and I think I paid around £3 for this beauty in the early 90's. 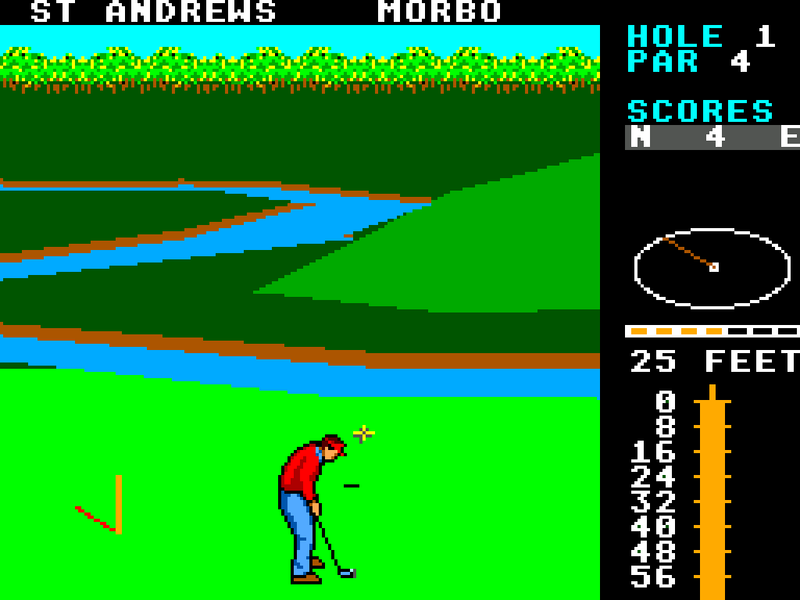 It's basic but I love this Golden Bear classic golf game. In 92 this beauty blew my mind. The Master System version looked great and I just loved swinging my pixel club in this bad boi! 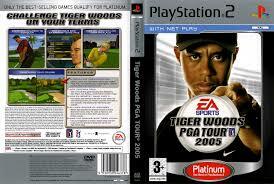 PGA was my first taste of how realistic a Golf game could be. It felt like I was on the tour. It was all consuming for me and I just couldn't get enough. EA introduced a level of presentation in a sports game that I'd never experienced before and it still remains a firm favourite of mine to this day. I once played a Par 3 and the ball flew straight into the hole from tee off only to bounce straight back out! I didn't know whether to laugh or cry! From that moment on I was hooked. Sensible Software had a habit of making serious subjects not so serious with their own brand of humour and music. The thing I remember most about this game is the catchy tune at the start of the game. Much like the SWOS theme tune, the SensiGolf tune was a work of genius that stays in your head for weeks. 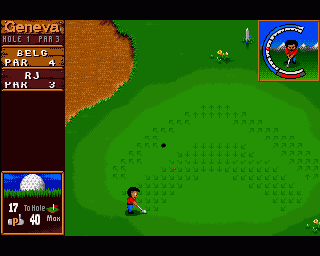 The game itself is a quality arcade golf game with trademark Sensible visuals (think The Borrowers Play Golf). Strangely this game wasn't a commercial success even with the Sensible name on it at the height of their Sensi Soccer / Cannon Fooder powers. If you want a good chuckle in a golf game then play this little perfectly formed beauty. 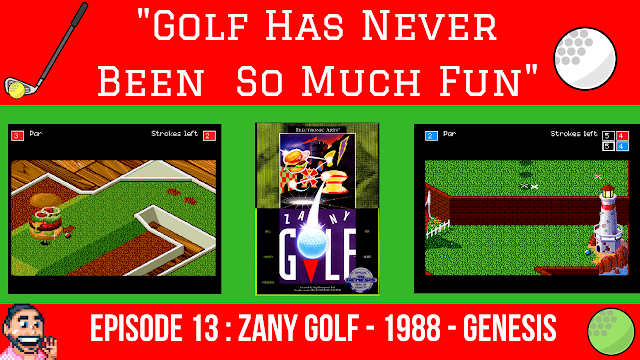 Cartoon visuals and cool looking special effects gave a thrill in this game and it felt different to any other golf game I had played previously. A more Japanese style golf game than anything else that had come before it came with gorgeous visuals and most importantly it was mega fun to play. I havn't played any of the current gen versions but Everybodys Golf a good egg in my books. The GameBoy was a marvel of engineering in every aspect. At the time it was hard to believe that such a small but perfectly formed mini machine could fit a whole 32 holes of golf inside it!! Although you may be thinking "32??!!" "Don't you mean 36??!!" Good question…….I checked the IGN write up for Game Boy golf and for some reason it has 32 holes of golf listed as its feature…..not owning the original any longer means that I havn't been able to check the validity of this 32 hole nuance, but if somebody knows better, please tell me…. Anyway, that aside, VIVA Gameboy GOLF! The thing that got my attention immediately with this PS2 classic was the depth of the gameplay. 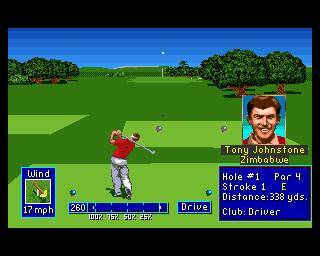 I loved the customisation of the golfer that made him my own golfer who to some extent actually looked like me. I also loved the idea of being able to play a daily challenge that was only accessible on a particular day of the year. The PSP blew me away. 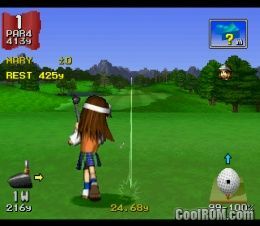 A handheld that had the power to produce a stunning Tiger Woods golf experience was a cool thing in my book and after playing a friends PSP with Tiger Woods plugged in the back I was hooked. It brought all the awesomeness of the PS2 game into the palm of my hands so I could play this beauty on the go. At the time I was working a lot in Belfast which meant that I spent a lot of time in airport departure lounges playing this piece of awesomeness. 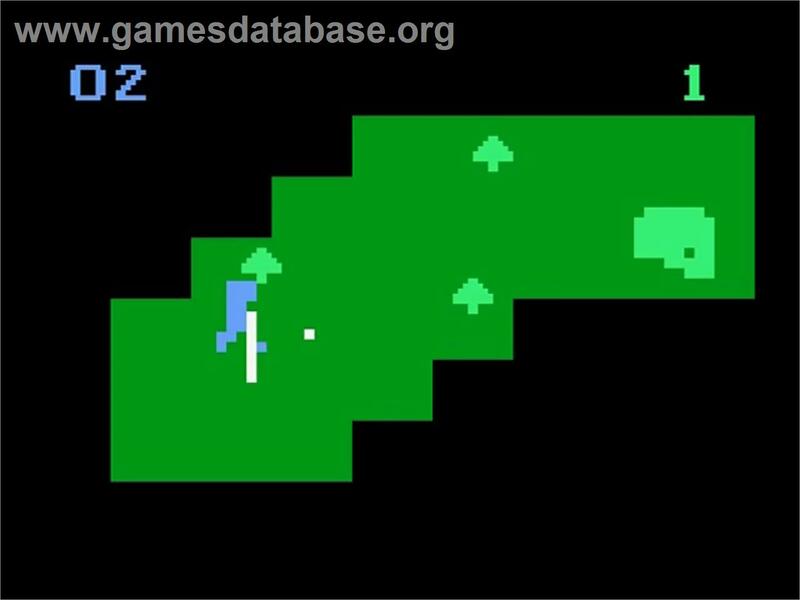 More recently I have purchased an iPad and as always I have been searching for a suitable golf game to satisfy my little white ball desires. The game I have stumbled across is Pro Feel Golf. It's simple yet challenging to play. But like all good iPad games it's easy to just pick up and play for a quick 20 minute session during a spot of commuting. As with all games now there is the opportunity to link the game up to your Facebook account and start a versus game which is great fun as you take your shots and wait for your opponent to complete the same hole before you find out who won. 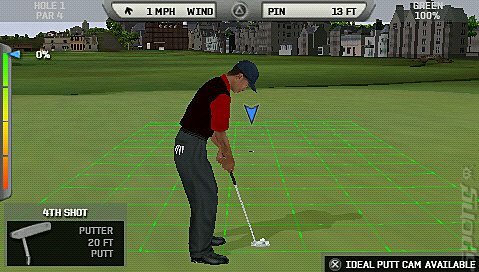 A great golf game for the iPad generation. 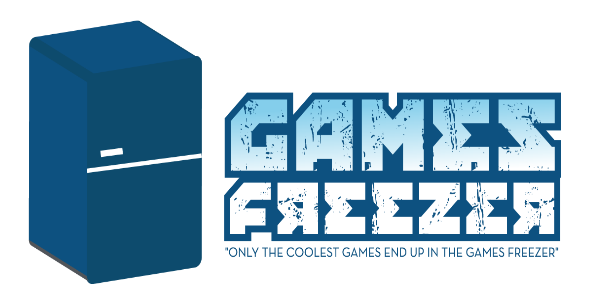 I also thought I'd point you towards a game that I have never played but would like to one day. 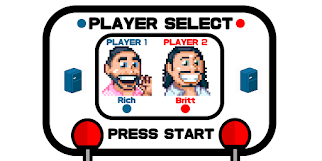 It's a Neo Geo classic……. How can you not fall in love with the look of this game? It's a classic Neo Geo style game, lots of colour and looks great. It is the one that got away really. Having never owned a Neo Geo it's always been on my ever increasing list of games that I 'need' to play. Turf Masters, one day YOU WILL BE MINE!! 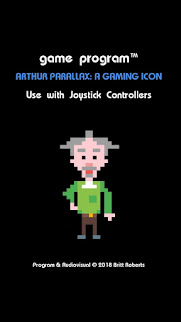 Anyway, enough of that stroll around the golf course, why don't you let me know what YOUR ultimate golf games are?